Work Visa Australia Immigration Consultants | Go For Visa | Australia Immigration Consultant & Visa Experts in India. There is a visa is for skilled workers from outside Australia who have been sponsored and nominated by a business to work in Australia on a temporary basis. An Australian business can’t found rightly skilled worker in Australia then he can sponsor a skilled worker from some other country. However the skilled position to be filled for the occupation must be listed in the DIAC. Should qualify for department's training requirements (Australian businesses only). The Australian companies who are sponsoring must also demonstrate their commitment to employ local labor and follow non-discriminatory employment practices. Besides this, being an approved sponsor, an organization can nominate unlimited number of subclass 457 visa applicants as long as the labor agreement is valid and applier has standard business sponsorship. In case you want to apply and not familiar with the subclass 457 visa process then you should read the following information pages to understand the sponsor application process. Entering an incorrect or incomplete sponsorship application could lead to unnecessary delays and may result in rejection of application. He/She is planning to sponsor an overseas employee to work in meat industry. He/She is planning to sponsor an overseas employee to work the on-hire industries. His/Her organization has specific requirements that avoid from sponsoring skilled workers as a standard business sponsor. Most of the labor agreements include a necessity to provide training to Australian employees. A soon as the labor agreement in place, they become an approved sponsor for the stipulated period of operation of the agreement. The standard business sponsorship arrangement is another common way to sponsor any skilled worker through subclass 457 visa program. However, an individual who is planning to sponsor must lodge a right application to become a standard business sponsor.An organization can have only one standard business sponsorship approved at any given time which is applicable for three years. The sponsor can extend the applicant’s sponsorship at any time during three-year period by filing a variation application. During the process, sponsor must utilize the same form as he/she would if they are applying to become a standard business sponsor for the first time. When is adverse information relevant? What does the department do with adverse information? 1. What is adverse information? Adverse information includes an administrative action, legal proceedings, investigation, conviction and finding of non-compliance. 2. When is adverse information relevant? The adverse information test is entitled as soon as the skilled worker or an employer lodges any application regards to a subclass 457 visa. 3. What does the department generally do with adverse information? Ignore it if it is reasonable to do so. Decline an application to nominate or sponsor a skilled worker, or reject their visa application directly. Abandon a sponsorship or inflict some administrative sanctions if an organization is already an approved sponsor. Visa intended for Multiple Entry- Those people wanting to travel inside Schengen area several time through the 90-day stretch out, carte visa intended for numerous records are generally the best selection. 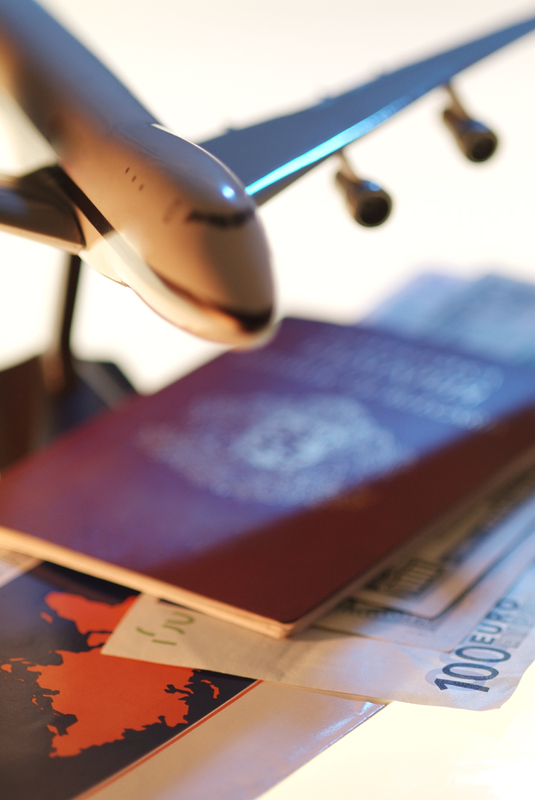 To obtain any visa you should provide appropriate proof your current travel requirements. The opportunity given by a working holiday visa will enable you to extend your stay for up to 24 months, and the application for this can be made offshore or in your home country. Migration consultants in Bangalore Phoenix GRS is the most trusted professional and competent company in the world, Providing Canadian & Australian Permanent Resident, Immigration and Skilled Worker Visa. I got immigration services in my past from Permits and Visas consultancy. they help me to got visa for study in canada. I also thanks to them. I contact them by website: http://www.permitsandvisas.com/. It all makes sense. People who have a legitimate reason to request legal residence should not worry at all. I have Some information to share about Australian work Visa. Aptech global immigration is the lading Visa Consultant Company that provide good information about canada Visa and Immigration. Its a really good information about Australia Skilled Work Visa. Skilled professionals who want to apply for the Canada Immigration Visa can get the correct details for the same from IRA immigration. Do Amazon Shopping and get 50% cash Back !! Offer limited !! Do Amazon Shopping and get 70% cash Back !! Offer limited !! Sanjay Precision Industries present a wide scope of turned segments and parts that incorporates shrubs, nuts, manifolds, conductor fittings among the rest. These instruments are imagined with an exact dimensional touch and have a high estimation acknowledgment. Our scope of turned segments and parts advance in change gears, lifts, transformers, warmers and so on. We offer them in a few variants at unmatched costs. Agarwal Packers and Movers offer the best packing material which is great and gives magnificent packing and moving office in all expert way. Entire administration was exceptionally secure and incredible they packing and moved the important family merchandise. I feel very appreciate staff member at both ends places. Thanks to all staff members Agarwal Packers and Movers!!! Getting an Australian visa and helps you to immigrate can be done by the best immigration consultants. so, Before going to consultant make sure that you are with a trustable consultant.